Get the Full StoryColby Covington says all he wanted from UFC president Dana White last week was an opportunity to talk to him. Colby Covington says he is back on good terms with UFC president Dana White. The former UFC interim welterweight champion was in Las Vegas last week for UFC 235. Of course, the welterweight title fight between champ Tyron Woodley and Kamaru Usman was of interest to him. Usman won the fight by decision. Covington made headlines during his time in Sin City, heckling Usman at his open workout and tracking down White as a casino. Chaos simply wanted to talk to White about why he was not the one fighting Woodley at UFC 235. Covington filmed the beginning of his encounter with White, in which White appeared surprised to see Covington, but ultimately was told to turn the camera off. According to both Covington and White, they briefly talked at the casino. Days later, White officially informed Covington he would get the first shot at new titleholder Usman. 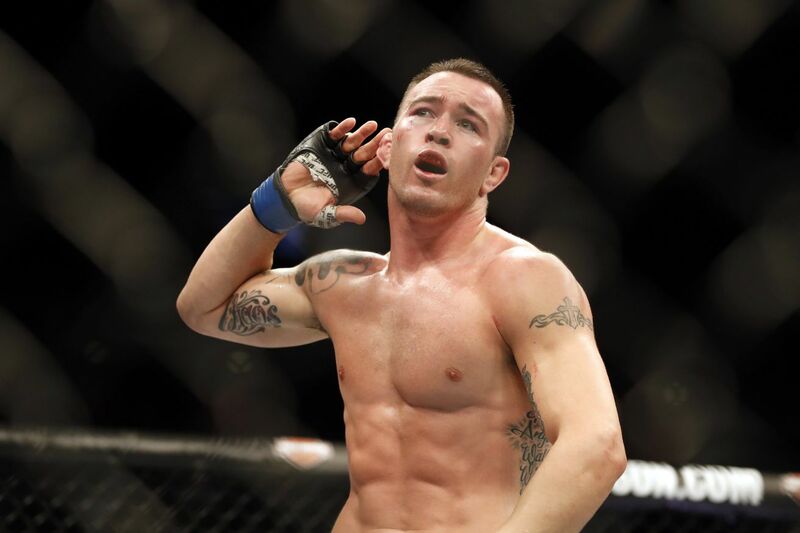 Covington walked away from last week with a good relationship with the UFC boss thanks to their brief chat and his impending title shot, he said. We were on bad terms last week, but all I needed was a chance an opportunity to talk to him, get face-to-face, let him know what s going on, let him hear my side, and let me hear his side, Covington told Bloody Elbow. We re on great terms right now. But don t get Covington wrong he won t be best friends with White anytime soon. And he says he still has doubts about his title shot against Usman, because he has been offered things that haven t come to fruition before. I think the guy s alright we re not friends, but this isn t the friends business, Covington said. This is the fight business. I m not here to make friends I m here to make money. I don t believe anything until I see it. Until we re locked in that cage and I can see Marty Snoozeman across from it, I m not gonna believe anything. Covington said that even when he was on bad terms with White, he wasn t one to complain about it. A lot of people can relate to me, because everybody has a job where they hate their boss, and they work for their boss, and he s a piece of sh-t, Covington said. That s why a lot of people can relate to me in my situation. But you don t hear me complaining over here. Yeah, I got passed over for a title shot when I was No. 1 in the world and I had a belt and I did something nobody has ever done and that s go to the White House and hang out with the sitting president, Donald Trump but I m not gonna complain about it. I m not gonna make excuses about it. I just get back to work and I just keep being thankful and blessed to be able to live this American dream.